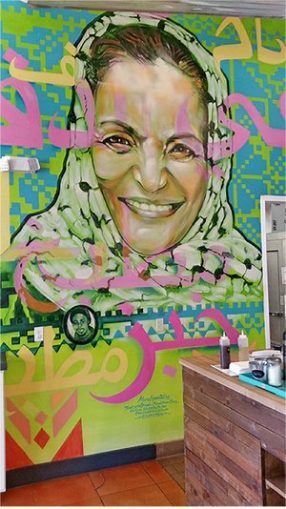 Mural of Rasmea Odeh, Palestinian woman leader and former political prisoner in the U.S., inside Reem’s Bakery. Oakland, Calif. — Four Zionists blocked the entrance to Reem’s California Bakery here on July 8 in an effort to immediately discourage clients from entering and to ultimately put the bakery out of business. Reem’s is modeled after a typical Arab street corner bakery. According to Chris Lymbertos of the Arab Resource and Organizing Center: “The attacks coming against Reem’s are part and parcel of the increased attacks we are seeing against Arab and Muslim communities, even more so under Trump. Lymbertos, who described Reem’s as “a bakery upholding values of love, culture, community and pride of our people and our lands,” added: “Our community is strong, it is resilient, and there are thousands of allies that stand in solidarity with us, our people and Reem’s. A particular target of the Zionists’ attacks on Reem’s is a beautiful mural of Palestinian community leader Rasmea Odeh. The mural depicts Odeh wearing the traditional Palestinian keffiyeh and a button commemorating Oscar Grant. Grant was a 22-year-old Black Oakland resident murdered by police in 2009 on the Fruitvale BART (Bay Area Rapid Transit) station platform, just above Reem’s. The mural by the artist collective Trust Your Struggle features Odeh, a former political prisoner who has spent her life empowering women in Palestine, Jordan and Chicago. For over 20 years she has led the Arab Women’s Committee of the Arab American Action Network in Chicago, which offers social services to 700 immigrant women and organizes them to be active community members. In 2013, the U.S. government targeted and arrested Odeh, accusing her of falsifying information on her citizenship application 20 years earlier. This was part of a nationwide sweep against immigrants, Arabs and activists. Despite unimaginably difficult circumstances, Rasmea Odeh continues to speak out against the unjust attack on her and her community. Zionists also attacked Reem’s by slamming the bakery with bad Yelp reviews, claiming there is blood in the bakery’s dough and alluding to the Odeh mural. After a story about Reem’s appeared on Breitbart News, the white-supremacist mouthpiece for the “alt-right,” so many fake reviews were sent in that this triggered Yelp’s Active Cleanup Alert, designed to prevent attacks against businesses that have appeared in the news. The International Jewish Anti-Zionist Network reported seeing similar targeted attacks against the Arab Resource and Organizing Center and against local professors at both San Francisco State University and University of California, Berkeley. 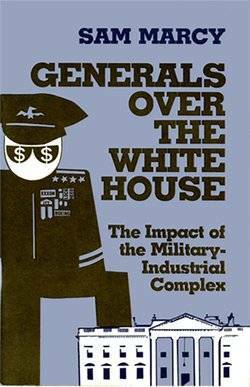 The center credits the current political climate for emboldening Islamophobes into waging a serious effort to destroy this business and other positive examples of organized Arabs creating resources for their community. Community members packed the house at a July 14 benefit show at Reem’s hosted by Anakbayan East Bay and BAYAN-USA. The fundraiser featured the musical group Mass Bass, youth organizer Sharif Zakout and the Debke Palestinian Dance Troupe. The goal was to help people get to the International League of Peoples’ Struggle conference in Toronto August 5-7 and also to support Reem’s California Bakery.